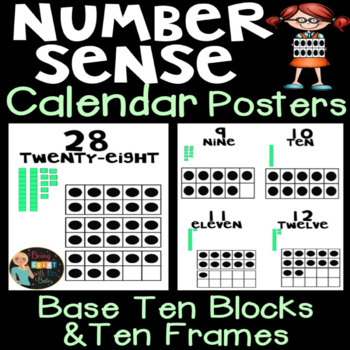 Number Sense Calendar Pieces includes numbers from 1-31. 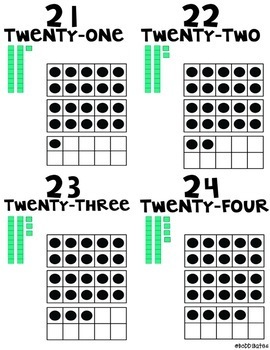 I use these daily with our calendar routine. 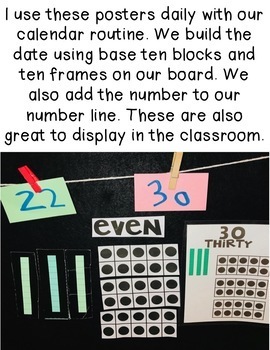 We display the poster, build the number with ten frames, build the number with base ten blocks, decide if the number is odd or even and add our number to our number line. These can be printed in 3 different sizes. 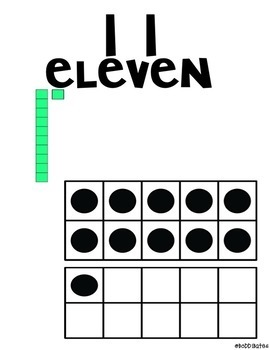 Check out the preview for a classroom example.